You hear about melting glaciers and Global Warming almost every day. But have you ever heard about melting glaciers effecting climate? A new study suggests that melting glaciers can soon bring in climate chaos in the form of extreme weather events and frequent heatwaves regionally. 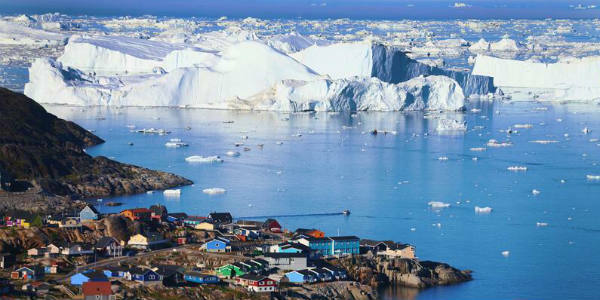 Each year billions of tons of ice and glaciers melt away into the seas surrounding Greenland and Antarctic ice sheets. The study says that this melting activity can lead to a destabilized regional climate in a very short span of time, say decades. As the big sheets of ice melt into sea, it induces changes in water current patterns. One likely result of the weakened current in the Atlantic will be warmer air temperatures in the high Arctic, eastern Canada and central America, and cooler temperatures over northwestern Europe. The liquid conveyor belt known as the Atlantic Meridional Overturning Circulation (AMOC), plays a pretty important role when it comes to the Earth’s climate. AMOC will get badly affected if glaciers continue to melt away at the present rates. A researcher has concluded that “By mid-century, melt-water from the Greenland ice sheet would have noticeably disrupted the AMOC”. According to the scientists it is a much shorter timescale than was expected.